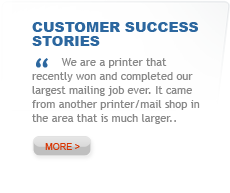 Seamlessly integrated into AccuMail frameworks Mailers Edition, MailSpotter lets you track the progress of your mailings as they pass through the postal system, making use of the Intelligent Mail barcode. 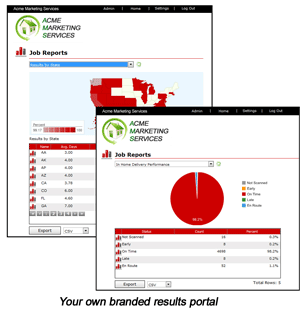 Whether you manage your own mailings, or you are a service provider looking to provide an additional revenue-generating service, MailSpotter gives you your own branded reporting portal so you always know where your mail is. 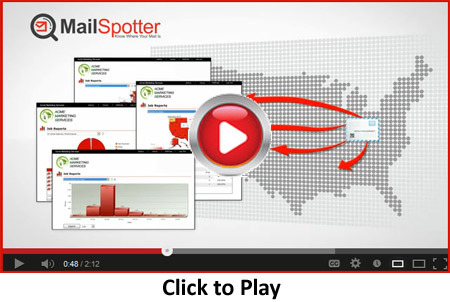 Take a look at this quick 2-minute MailSpotter video. Once your MailSpotter module is activated, simply process your files as normal through AccuMail frameworks Mailers Edition. Once you drop the mail at the BMEU and the first piece is scanned, MailSpotter starts tracking - results are available at any time and updated hourly.